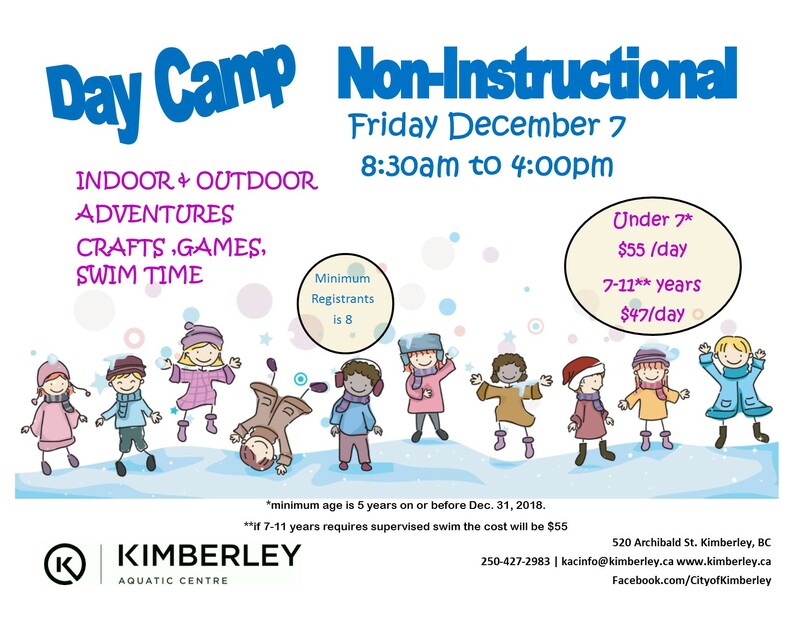 Wondering what to do with the kids on the Non-Instructional Day Friday December 7th? How about indoor & outdoor adventures, swimming, crafts & games at the Aquatic Centre NI Day Camp! For children 5 to 11 years of age from 8:30 am to 4:00 pm. Cost is $47.00 per day or $55.00 for supervised swimmers. Minimum of 8 registrants. For registration and details call 250 427-2983 or visit www.kimberley.ca and click on the shortcut to Aquatic Centre Info.